Rabbit Skins brand 100% cotton Kelly green Toddler size t shirt. Design is white vinyl heat transfer material. 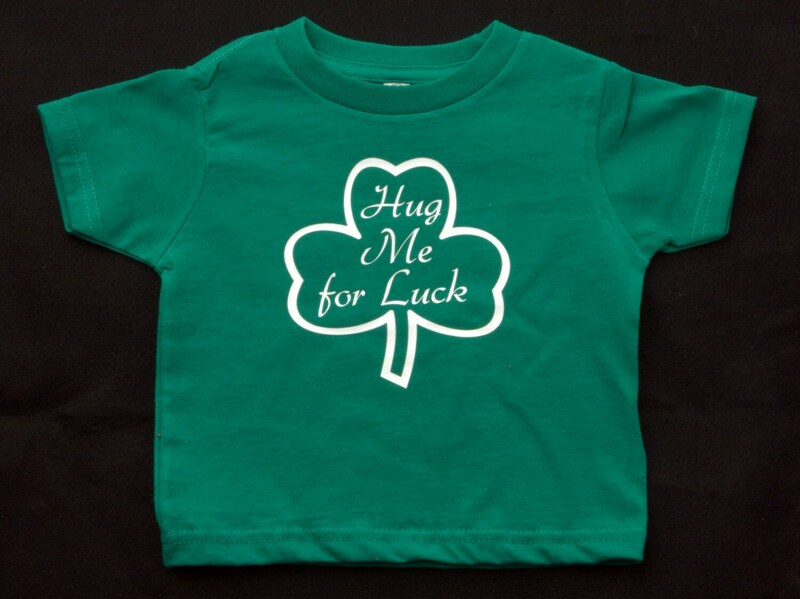 Available in sizes 2 T, 3 T and 4 T. This item is also available as an infant onesie. See my other listing for that item. A great t shirt for St. Patrick's Day. Free Shipping. I have all sizes in stock and ready to ship.